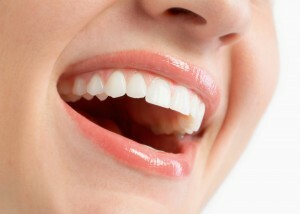 A Smile Makeover can completely rejuvenate the appearance of your teeth. This custom-designed procedure typically includes a variety of cosmetic dental treatments selected for your specific needs and goals. A Smile Makeover treatment is one of the hallmarks of Dr. Michael Kosdon’s practice, and he carefully blends his extensive dental skills with a keen artistic sensibility to produce results that look both beautiful and natural. Since a Smile Makeover is customized to your needs, the costs of treatment are dependent on the options you have chosen as part of the procedure. During your initial consultation and oral evaluation, our Cosmetic Dentist will talk with you about your goals and discuss the treatments that will be most beneficial. Smile Makeovers can give your teeth a much lighter shade, eliminate the appearance of deep stains, fill cavities and strengthen teeth with natural-looking results, correct common imperfections such as chips and gaps, and even restore missing teeth. Common procedures that can accomplish those goals include porcelain veneers, teeth whitening, dental implants, and tooth-colored fillings. Dr. Kosdon can even incorporate his signature Smile Facelift® treatment into a Smile Makeover to enhance your overall facial aesthetic and reduce signs of age. Once Dr. Kosdon has met with you for an initial evaluation and consultation, he will design a Smile Makeover treatment plan based on the treatments you will need to meet your goals. A member of our dental team will then come up with a cost estimate for the procedure and discuss it with you. Our practice offers a number of dental financing and payment options and works with CareCredit® – a popular health care financing company that offers low-interest and interest-free monthly payment plans to qualified applicants. We believe that the smile of your dreams should not be out of reach because of cost, so we will do everything we can to make the price of Smile Makeover treatment as convenient and affordable as possible. For more information on the potential costs of a Smile Makeover, or to schedule an appointment with Dr. Kosdon to talk about your goals, please contact us today.